Colombo: Emergency teams rushed food and water Sunday to half a million Sri Lankans displaced by the island's worst flooding for more than a decade, as the death toll climbed to 151. Government spokesman Rajitha Senaratne said relief operations had intensified following a break in the monsoon rains, with medical teams reinforcing hospitals in affected districts. 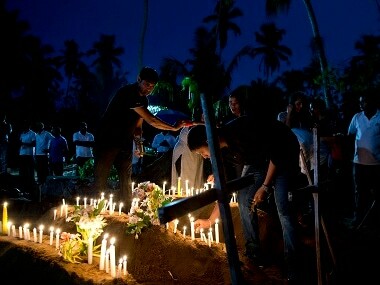 The official death toll had climbed to 151 with 111 people still listed as missing, Senaratne said. Another 95 were in hospital. 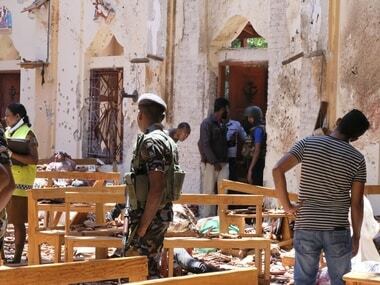 "Aid is now getting into the remotest areas which remained inaccessible in the past two days," Senaratne told reporters, adding there were help lines people could call if they needed assistance. Most victims were killed by landslides, not the flood waters, as their homes on hillsides were buried under torrents of mud and rock. Nearly 2,000 houses were damaged or destroyed. Almost half a million people had been forced from their homes and were sheltering in government buildings or with friends and relatives. The floods and landslides in the south and west of the island were the worst for 14 years. 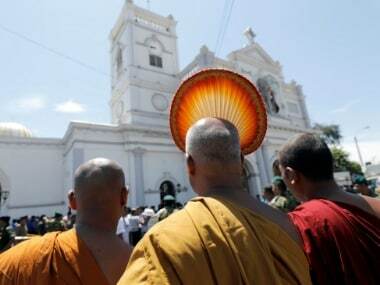 Water levels in Ratnapura, Sri Lanka's gem district east of Colombo, had subsided but many villages in Kalutara south of the capital were still under water, officials said. Residents in the south of the island also face the threat of crocodile attacks after a river known for its dangerous wildlife burst its banks overnight. The charity 'Save the Children' said about a tenth of those displaced were aged below five. It raised fears of stagnant floodwater becoming breeding grounds for dengue-spreading mosquitos and noted that young children were more vulnerable. Medical teams were sent to the worst-hit areas to help prevent an outbreak of waterborne diseases. "We have the expertise to deal with this situation," Senaratne said, adding cholera and diarrhoea had been successfully prevented in past floods. The military has deployed helicopters,boats and amphibious vehicles to distribute aid pouring in from residents in areas unaffected by the floods. Sri Lanka has also sought international assistance, with India rushing a second naval ship laden with supplies. The navy vessel Shardul called at Colombo on Sunday with a large consignment of medicines, inflatable boats and medical teams to join the relief operations. The United Nations said it would donate water containers, water purification tablets and tarpaulin sheets while the World Health Organisation will support medical teams in affected areas.